A couple weeks ago, our editor Sebastian Johnson asked everyone to write about the War on Drugs . I quickly realized I knew very little about the domestic drug war. I knew about drug cartels in Latin America, but I knew barely anything about the drug war going on in my own country. I needed to learn more quickly so I went to my two typical sources: Wikipedia and my Netflix queue. Right there, hidden 70 items deep within the category marked “My List” sat a documentary called The House I Live In. I remembered putting the movie in my queue about a year ago, when I sawthe director promoting it on The Daily Show. I wanted to watch it, but I never did. For an entire year I would scan across it, think “I should watch that some day,” and then choose some mind-numbing television series. It mirrors how I used to think about the domestic drug war; I knew I should learn about it; I knew I should care; but there are more interesting things I would rather do. And there is something wrong with that. 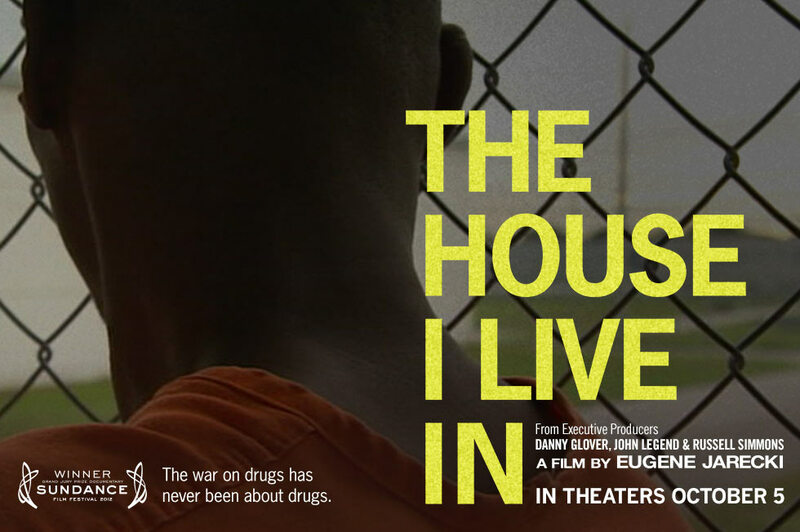 The House I Live In, directed by Eugene Jarecki, is a 2012 documentary about the War on Drugs in the United States. It features prominent historians, researchers, writers, litigators, and law enforcement, including Michelle Alexander (author of The New Jim Crow) and David Simon (creator of The Wire). Jarecki pairs testimonies from people who have been affected by drug legislation with personal accounts of how drugs have ruined families, lives, and neighborhoods. When people think about “The War on Drugs” they think about presidential addresses and legislators speaking out against crime, but the War on the Drugs isn’t that simple. Drug use is sometimes called a “victimless crime” — the only person affected by using drugs is the user. Jarecki, through his film, argues the opposite: the War on Drugs disproportionately affects the black community. Until the passage of the Fair Sentencing Act in 2010, there was a 100:1 weight ratio difference between the sentencing of people found with crack compared to people with cocaine. Finding this out was troubling. Even I knew the only physical difference between crack and cocaine was the addition of baking powder and heat. This disproportion was established with the Anti-Drug Abuse Act of 1986. It established mandatory minimum sentences of 5 years without parole for 5 grams of crack, compared to the same mandatory minimum for 500 grams of cocaine. Even today, after the passage of the Fair Sentencing Act, the ratio has only been reduced to 18:1. The documentary argues this unfairly affects the black community; as a graph in the film shows, 90% of the people charged with crack possession are black. One of the most interesting aspects of the film is Jarecki’s presentation of the prison-industrial complex in relation to the War on Drugs. 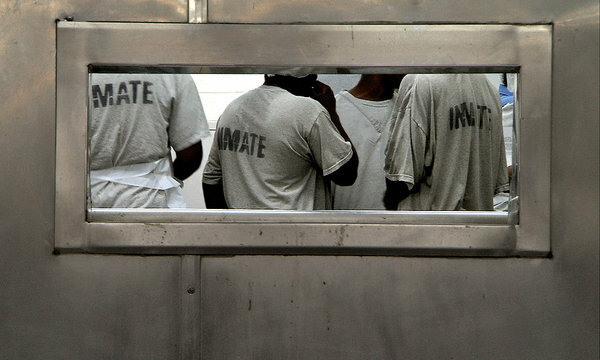 Many impoverished rural white communities depend on local, state, and federal prisons for jobs, such as correctional offices, janitors, counselors, etc. Prisons will even lease land from cities, which in turn allows the city to benefit indirectly from the presence of the prison. Jarecki argues prisons need prisoners to exist, ergo drug policies requiring mandatory minimums and three strike laws purposely create more prisoners. With the recent recession and the rise of impoverished rural white Americans convicted and imprisoned for meth use, Jarecki shows the prison-industrial complex financially benefits from drugs destroying the lives of people of lower socioeconomic status. That is the most astounding part of the whole documentary: the effects The Drug War has on people of lower socioeconomic status. The National Survey on Drug Use reports that 22 million Americans (almost 10% of the country) aged 12 and older claim to use drugs. This data crosses socioeconomic boundaries, but the majority of non-violent drug offenders in prison are of lower socioeconomic status. The data even goes further to show that by far, over 50% of inmates (almost 100,000) in American prisons are people who have been convicted of drug offenses and those numbers are rising. David Simon argues the imprisonment of impoverished drug offenders is being done on purpose, maybe subconsciously, but overtly with our legal system, legislation, and law enforcement. This is the most disturbing part of The House I Live In, and the data agrees. That is why this election season, I choose to vote only for people who hope to right these injustices.